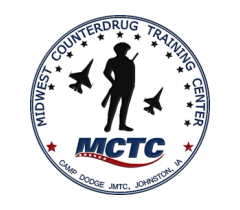 This program is designed for personnel involved in narcotics enforcement and undercover operations to curb the flow of narcotics and the risk and hazards presented to them. Through the analysis of leakage by the subconscious mind in both verbal and nonverbal communication the student is provided information to help diffuse the emotion of anger before violence and-or injury can occur. With the drug cartels in Mexico becoming more violent and extending further beyond the boundaries of United States the risk to officers, be it civilian or military, is greatly increased. In addition, the drug cartels are using younger personnel to carry out their goals and objectives; this is unprecedented in the history of narcotics enforcement. From the military application of this program the war on terror in both Afghanistan and Iraq requiring closer and more intimate contact with citizens in the streets of those communities. The ability of military and law enforcement personnel to recognize the indicators of violence allows them to make split-second decisions on when or when not to use force on what at first glance may appear to be a noncombatant. Detecting Danger is a 1 day (8 hour) course.